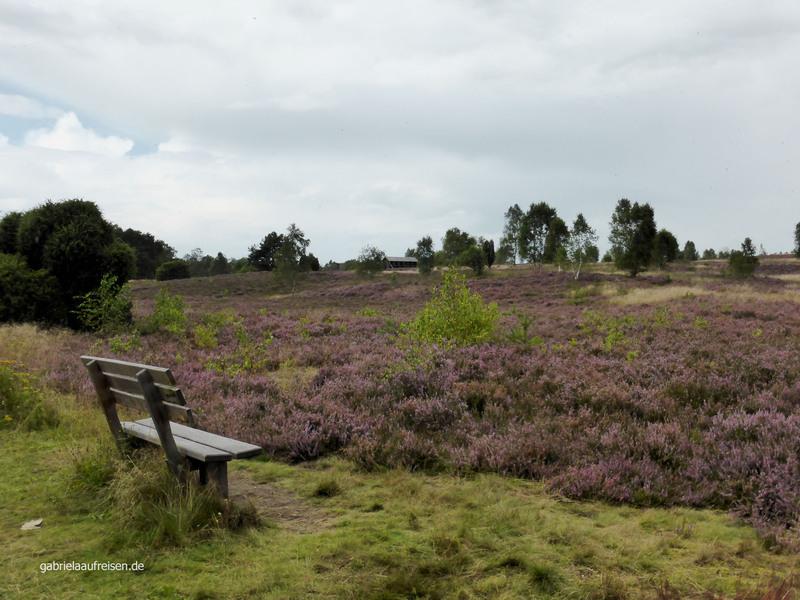 The best conditions to look at the flowering heather in the Luneburg Heath. 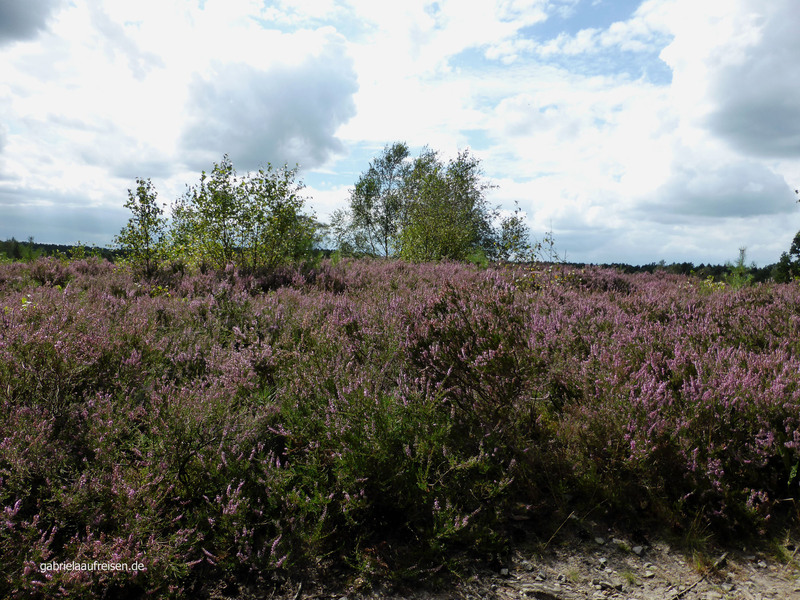 Usually the best time for it is between mid-August and mid-September. Since having a lot of rain the past months and, unfortunately, now in summer still much rain, the flowering of heather plants has started earlier than usual this year. 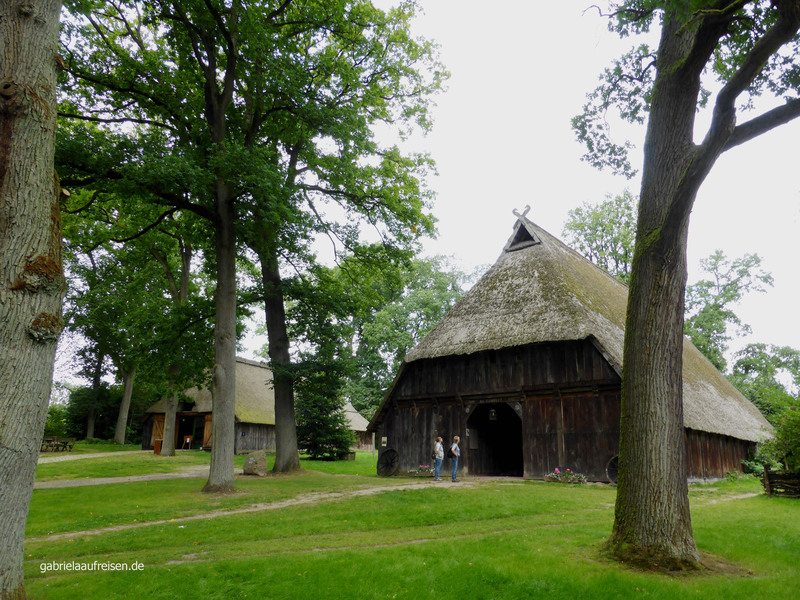 So we grab our grandson and drive the 30 km from Lüneburg to Undeloh. There are other places that could provide a good starting point for visiting the heath, for example Bispingen, Hanstedt, Schneverdingen or Handeloh. 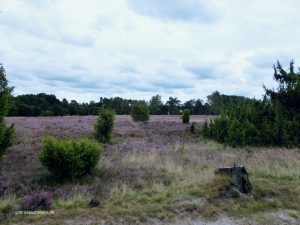 From Undeloh it is a short walking distance to the highest point in the Lüneburg Heath or Luneburg Heath, the Wilseder Berg. Impressive 1690 centimeters are the height of this hill but we won´t climb it today, because our little man has spotted the already for visitors waiting horse carriages. As well trained grandparents we like to meet our 5 year old grandson natural desire for a carriage ride. The carriage is almost full so we start shortly after ascending. Both horses are white with black spots. Our coachman introduces them as Tarzan and Toni. Both are healthy horses in the prime of their lives. 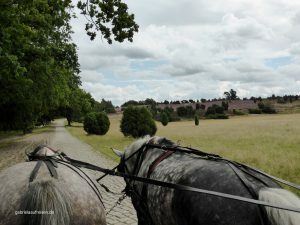 In the off-season they are riding horses on a farm near Bremen. 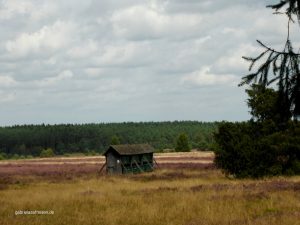 Sven, who in real life has a very different job, spends his summer holidays as a coachman here in the Lüneburg Heath for already 27 years now. Therefore, he knows many anecdotes and tells us a lot of them. He is pleased that he got some younger people aboard on this ride. A little girl with her parents is on board as well and they sit in the front with Sven, which makes our little grandson is a bit jealous. We learn that the whole landscape here has been created by the last ice age. The huge boulders that are commonly seen here were transported by the ice and glaciers from Scandinavia. When the ice melted, they remained here and huge forests started to grow. 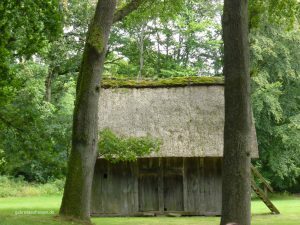 Some of them were destroyed by the first settlers mostly by burning to get farmland. Since the soil is very sandy, the fields were wasted very soon and more and more forest had to be cleared. 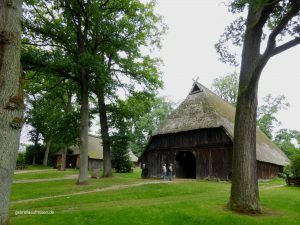 The saltworks in Lüneburg, which was in operation more than 1000 years, needed vast quantities of wood. The liquid was boiled brine and the pure salt remained. The here living people have then acquired Heidschnucken, a special sheep breed, very much adapted to the fauna here, that ate the grass and the renewable pines. 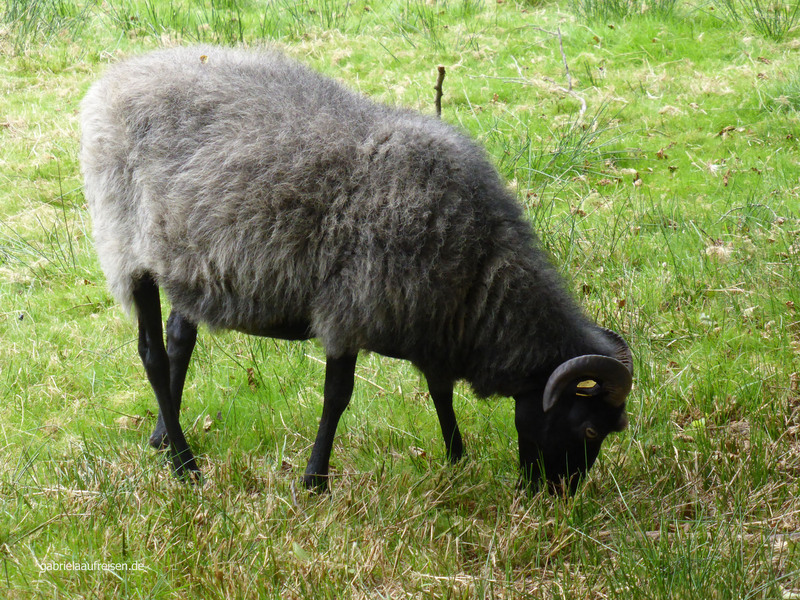 Big money was not to be earned so there were fewer and fewer herds. 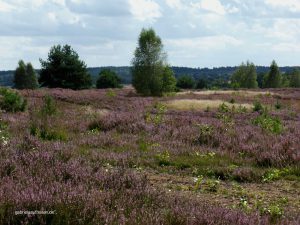 For some time there are once again 8 herds that help the heath to its present appearance. 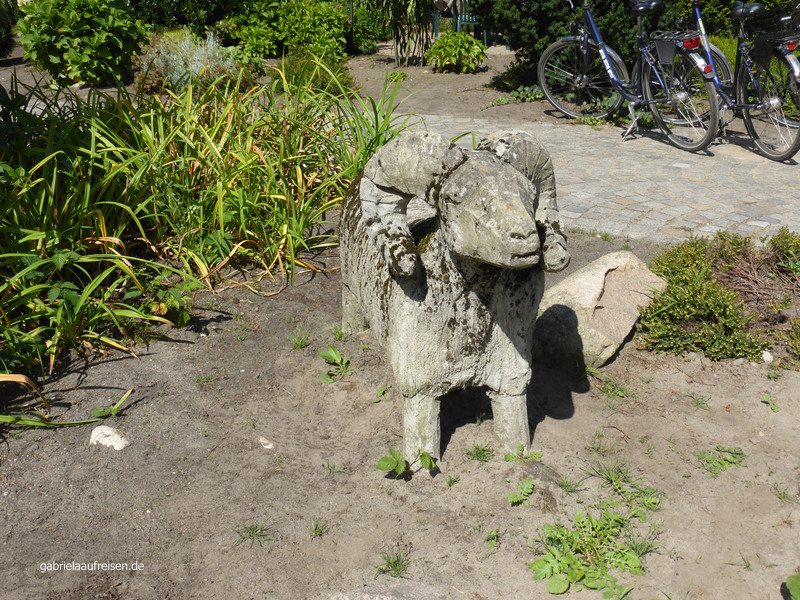 They fertilize the soil with their droppings and keep other plants than the health small. Always beautiful are the beehive huts, which are located at intervals on the heaths and their residents are responsible for the delicious heather honey. Our coach passes through the tiny town Wilsede with its museum. Left and right of the pathway we look at the beautifully renovated houses with their partially thatched roofs. Only cars with a special permit are allowed to drive here, so we see many carriages waiting for customers. Some of the guests get out and our grandson has the good fortune move over to the driver’s seat. On the way back we drive through the forest. It is very quiet here, as not many people walk along this path and none bicycles at all take this sandy road. Unfortunately the 90 minutes ride comes to an end. 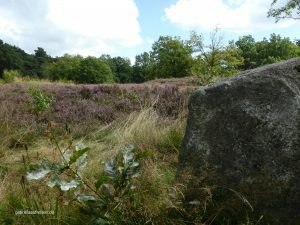 Now we go on a short hike for which we don´t get the approval of our grandson. After finding some strange and interesting insects he forgets about protesting and starts to enjoy the walk. Suddenly a strong wind starts to blow and impressing grey clouds build in the distance. Only minutes later rain pours down and we are luckier than most hikers to have some rain clothes with us. As fast as the rain started it stops again. At the end of the path we are happy to find some Heidschnucken (special sheep breed) in a fenced pasture. Obviously they were not allowed to roam the heath with their herd. So we also got a glimpse on the symbol for the region. 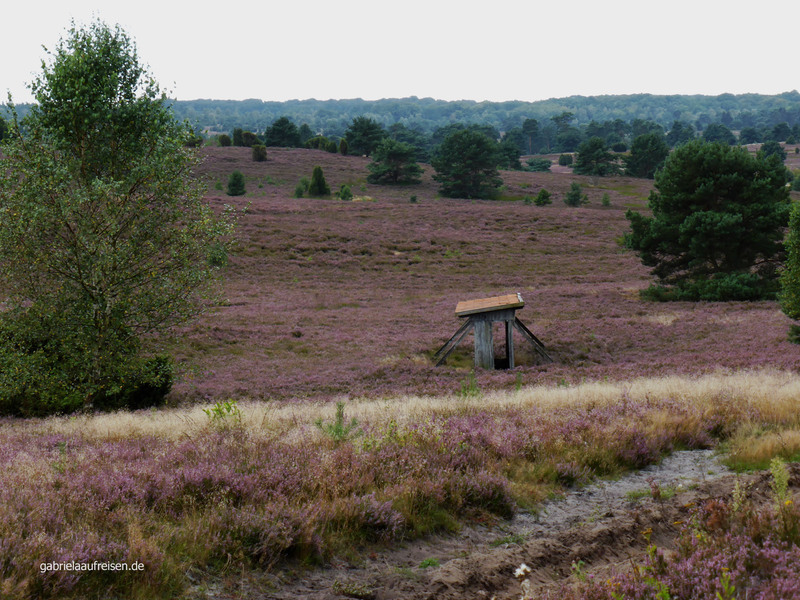 Not only in the summer months is the Luneburg Heath nice for hikers. In the other months it is very quiet and hikers and cyclists can enjoy the silence.